Great video of an pilgrimage to Lapchi Mountains, today is Milarepa’s Anniversary, great time to share with all of you. This entry was posted on 13131313, in Uncategorized. Comments: There are some proponents around who say that the lower realms in Buddhism are merely metaphors for a psychological state of mind and so forth. Some people even discredit the Buddhist notion of future lives and rebirths. Such people may even consider themselves Buddhists and/or teachers. We have to understand, no matter how distasteful it is to imagine that we can take rebirths in such ‘low’ states of immense sufferings, the Buddha explained only the truth. We should not take whatever we like from the Buddhist teachings and then construe the rest as we please. This will not help you in your understanding and progress at all. The lower realms are very real to us and we definitely have the possibilities of taking rebirth in them. Although it is true that the lower realms are based on mind, but our current reality now as humans is also based on mind. Just as we experience joy and sorrow now, so too will we experience suffering to a great degree when we are in the lower realms. Karmic forces shape our perceptions all the time. For instance, on a superficial level, we can see that several people looking at the same cloud may perceive it in different shapes, or several people when faced with a similar situation may have vastly contrasting reactions to it. Some people enjoy going into water to swim while some people have a phobia of water. These are all shaped by our habits and karmic propensities. On a deeper level, our dreams at night are shaped by our deeply entrenched habits from the past. When we die, our present vision as humans end because the present karmic forces have exhausted itself. We then experience the next vision based on our latent karmic propensities. It is akin to having fallen asleep and then experiencing some dream. Falling asleep is like the process of death which dissolves the present karmic vision while dreaming is like the formation of the next vision. We can call this next vision the ‘next life’ or ‘rebirth’. After they die, some people will have human visions, some have animal visions, some have hellish visions. Due to our lack of realisation of their true nature, we will grasp at them as real and suffer accordingly until the karmic forces is once again exhausted (which may take a very long time in the lower realms) and then death occurs and the next vision arises again. This endless cycle is called samsara. There are no limitations to our karmic visions and rebirths, just as there are no limitations to the kind of dreams you can have at night. The determining factor that shapes these visions is the karma in our subtle mindstream. For example, a person who has deep habits of anger in him may easily give rise to the hellish visions of endless suffering. In Buddhism, we categorize the different kinds of visions according to their predominant characteristics and these are commonly known as the six realms. We should understand that these teachings are not to scare you into practising Dharma but they show how karma works. We should then utilise Dharma teachings to develop positive habits, purify all negative habits and ultimately to liberate all habits. I thought that the above teaching by Drubwang Konchok Norbu Rinpoche will be useful for us to reconsider any mistaken views we are holding on to about cause-and-effect and rebirths. This entry was posted on 13131313, in Teachings. When the student’s attitude toward his or her lama is one of such faith and devotion that the student really sees the teacher as an actual Buddha, or as the very emodiment of the dharmakaya Vajradhara, or as the very embodiment of the student’s yidam – when the student has that kind of complete trust and faith, without any doubt, without hesitation – then the blessings and qualities of the enlightened form, speech and mind of all buddhas and bodhisattvas are transmitted through the lama to the student. 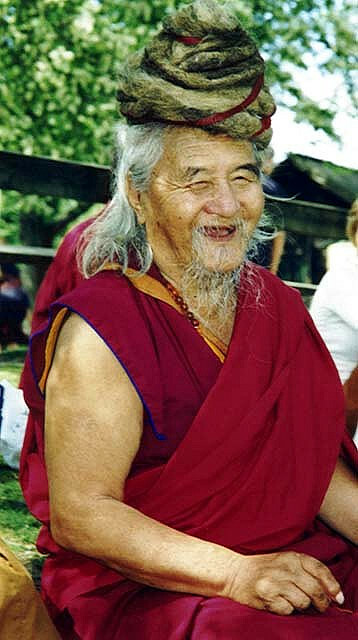 When it is a certainty in your mind that this is truly the Buddha, this is truly the dharmakaya Vajradhara, or that this is truly Guru Rinpoche that you are encountering and relying upon in your lama, and when you pray with that certainty in your mind, then you definitely receive the blessings from that connection. But this also implies that you, as a student, guard your own attitudes towards the teacher and ensure that you are always respectful and receptive to what the teacher is saying. Do not give in to your own ordinary habits of pride or self-aggrandizement or in any way undermine the relationship with the teacher by contradicting what the teacher says or by attempt to thwart the teacher’s efforts. Any and all of these attitudes are to be avoided since they do not support the trusting and open relationship that is necessary for the blessings to flow from the teacher to the student. In the tantras it is stated again and again the importance of relying upon the lama as the source of blessings in one’s practice. Regardless of the particular prayer that the student offers to the lama, regardless of how small or seemingly insignificant it may be, if it is based upon the student’s complete trust and faith in the lama, then the blessings of the lama are always accessible to the student. In theTantra of the Ocean of Timeless Awareness, it states that it is far better to recite one small prayer to one’s lama out of pure faith and devotion than it is to perform hundreds of millions of recitations of deity mantras. The effect of prayer is far more powerful when it is truly an expression of one’s own faith and devotion in one’s lama. When one has established a connection with one’s lama based upon trust, faith and devotion, there are different ways of relying upon that relationship through which various kinds of accomplishment can come about. If a student intends to attain the most sublime accomplishment of enlightenment itself, the student identifies the lama with Vajradhara – the dharmakaya buddha. If the student is particularly motivated to develop deeper wisdom, the student identifies the lama with Manjushri, the bodhisattva of wisdom. In order to encourage his or her own love and compassion, the student meditates upon the lama as inseparable from Avalokitesvara, the bodhisattva of compassion. To gain greater spiritual power the student focuses upon the lama as inseparable from Vajrapani, the bodhisattva of spiritual power. To overcome various kinds of fear and anxiety one relies upon the lama as the very embodiment of the venerable Tara. To promote one’s own longevity one meditates upon the lama inseparable from Amitayus. To overcome illness and disease one meditates upon the lama as the Medicine Buddha. To promote one’s own wealth and prosperity one meditates upon the lama as inseparable from Vaishravana, Jambhala, or any of the wealth deities. To purify the effects of harmful actions and to purify obscurations of one’s body, speech and mind, one meditates upon the lama as inseparable from the deity Vajrasattva. To increase one’s own personal glory, wealth and opportunity, one meditates upon the lama as inseparable from the Buddha Ratnasambhava, the buddha of the jewel family. To increase one’s power – one’s ability to exercise a powerful and beneficial influence over the world – one meditates upon the lama as inseparable from Amitabha or a deity such as Kurukulla. If one wishes to enact wrathful activity, one meditates upon the lama as inseparable from Vajrabhairava or any of the more wrathful yidams. If one wishes to adopt the approach that combines all of these qualities in a single form, one meditates upon one’s lama as inseparable from Guru Rinpoche. In each of these cases, one’s attitude is that of one’s own root lama being the very embodiment of one or another of these aspects of enlightened being. When it comes to deity practice, we may find judgments arising in our mind saying, for example, that this deity is better that this deity, or this deity is more powerful than another deity, or this blessing comes more quickly with this deity. These types of ordinary thoughts are not really appropriate when we are dealing with something of this nature. The only qualifying factor is the devoted interest and faith in the student’s mind. It may be that under certain circumstances, your faith is stronger in a given deity and therefore that deity practice is more effective for you. But that does not mean that at a more ultimate level there is any distinction to made between these various aspects of enlightened being. They all arise from the single vast expanse of timeless awareness as equally authentic manifestations of blessing and power. There is no hierarchy, so to speak, among the deities. It is not the case that some are more powerful than others, or some more blessed than others, or some more productive of benefits than others. It is rather a question of the degree to which you as a practitioner are motivated in a given direction. If you are concerned about the degree to which you are receiving blessings from your deity or from your practice, it would be far more useful to examine the degree to which you yourself are developing faith and devotion toward that yidam and toward your practice. The more our minds entertain doubt and anything other than a truly firm and lucid faith in our practice, that much are we confusing ourselves. We obscure our own minds with that doubt, vacillation and lack of certainty and trust. It is on that level that we can say there is no blessing in the practice. Not because the deity has no blessing. Not because the lama has no blessing. But because the student is closed to that blessing by his or her doubt and confusion. The most important qualities to ensure the success of the (Guru Yoga) practice in the students’ mind are faith, devotion, trust and pure view. If a student is truly bent upon benefiting from his or her practice and his or her association with the dharma, those qualities are indispensable. This entry was posted on 13131313, in Practices, Teachings and tagged Guru Yoga, penor rinpoche. Please listen to the nun singing these 6 verses here. I think this melody and prayer touches me very deeply. This entry was posted on 13131313, in Practices, Uncategorized and tagged 6 stanzas, gotsangpa, Guru Yoga, mahamudra. Today we are going to do a practice of removing obstacles so that favorable conditions can manifest. With this practice we are able to remove our obstacles and benefit those who have asked for our help and made offerings with this purpose. Besides removing obstacles for those who asked for the practice, we can extend the benefit to all sentient beings. However, our capacity of benefiting is directly related to the purity of our hearts. The key point is motivation. We should keep a pure motivation at all times, not only within the context of this specific practice. The purity of the virtue generated will depend on the purity of our motivation. In the first place, we acknowledge that, just like ourselves, every being – be it an enemy, a demon or a little insect – urges for everlasting happiness but never finds it; or, when they find it, it is temporary. In addition, though they wish to be happy, with their actions they just end up creating the opposite of what they want. By seeing this reality, we feel compassion, but this is not enough. It’s necessary to do something. We spend most of the time focused on ourselves, and this is an attitude that doesn’t bring much benefit. Our action will be pure only if we detach our focus from ourselves, if we have the intention of helping others. If we think of the number of beings that inhabit the realms of samsara, we will see that the number of human beings is extremely small in comparison to the beings in the hell and the hungry ghost realms. Among human beings, the number of people who search for some spiritual practice is not very large. Besides, it is common that a spiritual practice is carried out wrongly, reinforcing jealousy, envy, pride and the feeling of superiority in relation to other spiritual traditions. The number of those who keep a spiritual practice with a pure heart is comparable to the number of stars that can be seen in the daylight. In order for our practice to be pure, it needs to be devoid of attachment to the self. We need to have equanimity, avoiding ideas such as “I like this person and I will do something for her, but that other person is not good so I won’t do anything,” or, “my spiritual realization is better than the other’s,” or, “I will help my relatives, but I won’t help other people.” Our intention is to help all beings, the good as well as the ones who do harm. When practicing, we make the aspiration that our obstacles as well as every being’s may be removed, and that auspicious conditions, worldly as well as spiritual, may increase. We also pray that short- and long-term benefits may arise. However, our ultimate goal is to reach enlightenment. If you have constant nightmares, you can try to eliminate them in order to have only good dreams, but still you will be dreaming. Our aim is to wake up from the dream. The same applies to our experiences in samsara: we want to eliminate difficult experiences and increase the good ones, but our final goal is to reach enlightenment so we can benefit whoever sees, hears or touches us. As Mahayana followers, we practice for the benefit of all beings. We should establish this kind of motivation and always keep it this way. We address this prayer to Guru Rinpoche. In the outer level, Guru Rinpoche is the Three Jewels, in the inner level he is the Three Roots, and, in the secret level, he is the Three Kayas. Outwardly, he is the embodiment of the Buddhas of the three times: the Buddha from the past, Dipankara, the Buddha from the present, Shakyamuni, and the Buddha from the future, Maitreya. Guru Rinpoche is the manifestation of ultimate essence of all Buddhas. Inwardly, as the Three Roots, he is the lama, the source of all blessings, and, as such, he embodies the three lineages: the lineage of mind, which is the mind of the Victorious Ones; the symbolic lineage – or the lineage of the seals – from the awareness holders; and the oral lineage, transmitted from mouth to ear. Guru Rinpoche is the ultimate essence of the wisdom of the three lineages. In a secret sense, in relation to the Three Kayas, Guru Rinpoche’s nature is the Dharmakaya, the nature which is emptiness inseparable from wisdom. NGO DRUB means “the source of true accomplishment”, therefore in the inward level, in relation to the Three Roots, Guru Rinpoche is also the chosen deity, the Yidam. Regarding the Three Kayas, in the secret level, he is also the Sambhogakaya, the great bliss. Guru Rinpoche is the dispeller of all obstacles in the five paths and throughout the ten bhumis. The Sangha helps in the removal of hindrances and misfortunes, as well as in the increase of positive qualities along the spiritual path. Connected in this way, at the outer level, Guru Rinpoche is also the Sangha. The dakinis and protectors are the source of accomplishment in the activities. With this practice, we remove all obstacles to spiritual practice, so that the four activities may be fulfilled. Thus, in the inner level, Guru Rinpoche is also the dakinis and Dharma protectors. He embodies the mandala of the Three Roots. In the secret level, he is also the Nirmanakaya, the object of refuge of both superior and lesser beings. He manifests himself in physical form in order to benefit all beings not only through teachings but also, more directly, through giving empowerments and so setting them into the path to liberation. Therefore, Guru Rinpoche, who has all these qualities, is the object of our prayer. In the outer level, he is the Three Jewels: Buddha, Dharma and Sangha. In the inner level, he is the Three Roots: Lama, the chosen deity (Yidam) and Dakini. In the secret level, he is the Three Kayas: Dharmakaya, Sambhogakaya and Nirmanakaya. Guru Rinpoche is the manifestation of all enlightened beings, the source of all the teachings that bring forth temporary and definitive benefits. He is the holder of the crown of all sanghas and the holder of the crown of all enlightened beings. DUD DUL DRAG PO is Guru Rinpoche’s secret name, which means “the one who fearlessly removes all the obstacles caused by hinderers.” He dispels the hindrances in the path, which are the four maras. When these obstacles are dispelled, the four kinds of activities can then be performed: pacifying, increasing, magnetizing and wrathful. Through these activities we are able to benefit all beings. The object of our prayer is pure since the beginningless beginning. As we dispel our temporary obstacles, the two purities can be fulfilled. Through the power of the great wisdom, the two obscurations (mental poisons and intellectual obscurations) can be removed. Through the fulfillment of the natural awareness beyond extremes, the obscurations are directly liberated in the basic space. That’s why Guru Rinpoche is called the holder of all manifestations. When we recite this prayer, at an outer level we are calling the name of Guru Rinpoche, but what we truly need to understand is that Guru Rinpoche is the source of all pure qualities and, because of that, he has the power to dispel all our obstacles. We think of Guru Rinpoche with deference and we pray to him with faith. And why do we pray? What do wish for when we pray? With the external prayer, we approach the object to which we are praying. In Tibetan, this phase is called nyempa (approximation), which means “moved by faith, we approach”. The other phase is called drugpa, which means “realization”. In an inner sense, we acknowledge that Guru Rinpoche is inseparable from the Three Jewels, the Three Roots and the Three Kayas. His body, speech and mind are the mandala of the wisdom body, speech and mind. Our body, speech and mind also have a pure nature since the beginningless beginning, which we couldn’t recognize before. To recognize this pure nature and to keep this recognition is the meaning of the realization phase (drugpa). The wisdom of dharmadhatu, which is the nature of mind beyond extremes. The wisdom which is clear like a mirror. There are also the Nirmanakaya and the Svabhavikakaya. The four kayas and the five wisdoms are our own mind, inseparable from the Lama. We need to gain confidence in this recognition. The nature of the one who prays and that of the object of the prayer are inseparable. Resting effortlessly in this nature is the enlightened activity. Here we invoke or request the blessings, but how are they bestowed on us? By receiving the blessing of the wisdom body, our body turns into a body of light, the vajra body, which has the seven vajra qualities: it is invulnerable, indestructible, incorruptible, stable, unobstructed and invincible. By receiving the blessing of the enlightened speech, we accomplish vajra speech, which is the inseparability of sound and emptiness. By receiving the blessing of the enlightened mind, we accomplish the vajra mind. Thus, we request the blessing in these three ways and ask for the disclosure of the enlightened body, speech, and mind. Fear of the ground, fear of earthquakes. Fear of wind or hurricanes. Fear of weapons in general. Fear of being imprisoned, fear of authorities. Fear of enemies, thieves and robbers. Fear of wild fierce elephants. Fear of not fulfilling one’s aspirations. The mara of the body aggregates. The mara of the mental poisons. The mara of false contentment: believing in temporary happiness, without recognizing that everything changes all the time. It’s like licking honey out of a knife blade. The secret obstacles are the mental poisons: ignorance, desire, anger, envy or jealousy, and pride. All these obstacles create impediments to enlightenment. How do we remove the outer obstacles? With the recognition that every appearance is the pure body, every sound is the pure speech, and that mind’s nature is pure wisdom. Every form, everything we see, every appearance is acknowledged as the pure form of the deity. Every sound we hear is the deity’s mantra, the pure sound. We recognize anything that arises in our mind as inseparable from the timeless natural awareness, Dharmakaya. When we reach the realization of the pure nature of all things, outer obstacles are dissolved. If we recognize the absolute nature, dual thoughts dissolve, we eliminate the attachment to the self, and, consequently, we subdue the maras, purify the five mental poisons, and consummate the five wisdoms. With this, any obstacle that arises will be transformed into something good or better. The outer, inner and secret obstacles are removed by the power of the blessings of Guru Rinpoche’s enlightened body, speech, and mind. SAMPA means the aspiration that everything we wish for in the temporary level may be attained and that, from this moment until we reach enlightenment, every favorable condition may arise. Having a long life. We need this human body. It is a good vehicle, and, being like a ship, the mind is the captain. The mind determines the direction and the body serves it. Therefore, we need to wish for a long life. Being healthy. The mind may have positive thoughts, but, if the body is ill, we will not be able to put what we think into practice; because of that, we wish for a healthy, good and strong body. Having good fortune, good luck and prosperity. Having a good family, because, if we are born in a family of bad character, we may be negatively influenced. Having good financial conditions, not being poor or going through difficulties. Having qualities like intelligence, because, without intelligence, we are also unable to put things into practice. These are the qualities of the superior rebirths. Faith. Whatever your tradition may be, if you don’t have faith, there won’t be any connection. If you don’t keep the connection, your practice won’t bear any results. Moral discipline. Abandoning negative actions and acting in a virtuous way. Being conscientious. Being ashamed of doing wrong because you know that others will notice. Knowledge (intelligence). You may want to do something positive, but if you are not knowledgeable, you won’t be able to. It’s important to have the good fortune of hearing in order to acquire knowledge. Generosity. If you are miserly, not knowing how to share anything with anybody, even if you are healthy and able to hear, even if you have abilities and qualities, you won’t be of any benefit at all. Having deep knowledge, or the transcendental knowledge, the best knowledge; in Tibetan, sherab. In the spiritual path it is not enough to be diligent. Maybe there is something annoying you during practice and you feel like stopping, and you force yourself into keeping on practicing – this situation is not the ideal. However, if we know that the practice brings benefits to ourselves and to others, we will practice with enthusiasm. We will have the quality of perseverance with joy. If we don’t have joyful perseverance, whenever doubts arise our practice will get weaker. We ask for the blessings in order that we may enjoy all favorable conditions along the path which will lead to the ultimate goal: to reach the extraordinary realization. Every being, may it be a human, an animal, or any other kind of being, has a mind. Mind’s essence is Buddha nature, which is pure. It doesn’t matter how big the being is, whether it’s big or small, since its essence is pure. If we all have a pure essence, then how does the experience of samsara arise? Because we still don’t recognize our pure nature. It is covered by temporary defilements, such as the mental poisons and intellectual obscurations. We have the habit of not understanding, not recognizing this pure essence: this is what causes the experience of samsara. The path to transforming samsaric experience and reaching the consummation of the absolute nature is the accumulation of merit and wisdom. Each being’s nature is inseparable from the four kayas and the five wisdoms (or the five aspects of the awakened state) and, at the moment, it is veiled by temporary defilements. With the practice of the development and the consummation states, we are able to remove these temporary defilements and reach the extraordinary realization: the recognition of mind’s true nature. We beseech the blessings in order to reach this extraordinary realization, the consummation of the effortless recognition of the absolute nature. Teaching given by H.E. Chagdud Rinpoche during an accumulation of the Barched Lamsal prayer. Khadro Ling, March 1997. This entry was posted on 13131313, in Practices, Teachings. 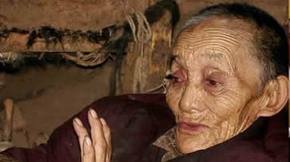 I had posted before about the nuns of Gebchak Gonpa, one of the realised nuns, Sherab Zangmo passed away at the age of 86. I thought of doing up a complete post about her, because I am always inspired by these enlightened practitioners and would like to emulate them. It also serves as a reminder to us about the important points of Dharma practice. When Sherab Zangmo was a young nun, during a dark retreat (a Dzogchen practice of staying in total darkness for 49 days and nights), she had a vision of Yeshe Sogyal, Padmasambhava’s principle consort. “Yes, they appear illusory, like a dream,” she said. “Do you have any advice for students who might not have the same level of faith? Can you describe your perception of the world? Do they appear like a dream? From the time Sherab Zangmo was young, she frequently had these visions, experienced going to the Pure Lands, meeting the deities, making offerings to them and so forth. Also going to the hell realms, where beings are really suffering, and helping to lead them out. She is able to travel beyond the human realm and give teachings to beings in other realms. “If you really supplicate the Lama repeatedly with faith and check your own mind over a long period of time then you will accomplish the path. The accomplishment of practice really relies on yourself. Supplicate the Lama repeatedly and when your mind becomes distracted, bring your mind back. If you continually supplicate the Lama whether winter or summer you can really receive the blessings. This entry was posted on 13131313, in Practices, stories, Teachings.